%0 interest rate for first 15 months. After 15 months reasonable interest rates. No annual fee and no foreign transaction fee. No rewards points, no bonuses and no miles. Not good if you are looking for a card for travelling. You can find advantages and disadvantages and also review of Regions Life Visa below. If you have any questions regarding the card, please don’t hesitate to ask us. Regions Life Visa is a good credit card for those who are looking for a balance transfer card. Balance transfer fee is average and there is also 0% APR for 15 months for balance transfers and purchases. 4% balance transfer fee is average for the card. However minimum fee of balance transfer is a little bit high. Our recommendation for minimum fee is $5. If you manage to get minimum APR with this card, it can be an awesome card for balance transfer. It depends on your creditworthiness though. There is no foreign transactions with this card and it is a good advantage if you are travelling and if you purchase products from abroad. There is no rewards with this card. Regular APR is not very bad at all. Cash Advance APR is high but the rate is equal with most of cards in USA. If you have a good credit score, this can be an awesome option for balance transfer. We also take a look at alternative cards though. There are also many good opportunities. You can see Regions Life Visa stats, rates, fees below. If you are also a user of this card, you can also review it and let other users know about this card. 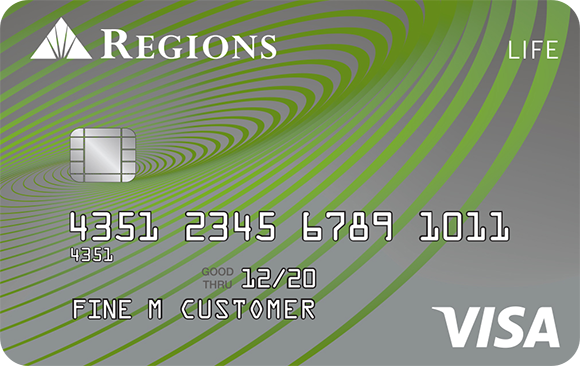 You can apply this card online through Regions Bank. All you need to do is clicking on apply button above. I am not expert on credit cards. I like this card. 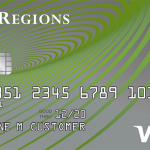 Good card if you are a customer of regions bank.